For studio photography the ideal age is between 5-12 days. When babies are that tiny they spend a lot of time sleeping and still curl up into very sweet poses similar to the positions they were in when they were in the womb. 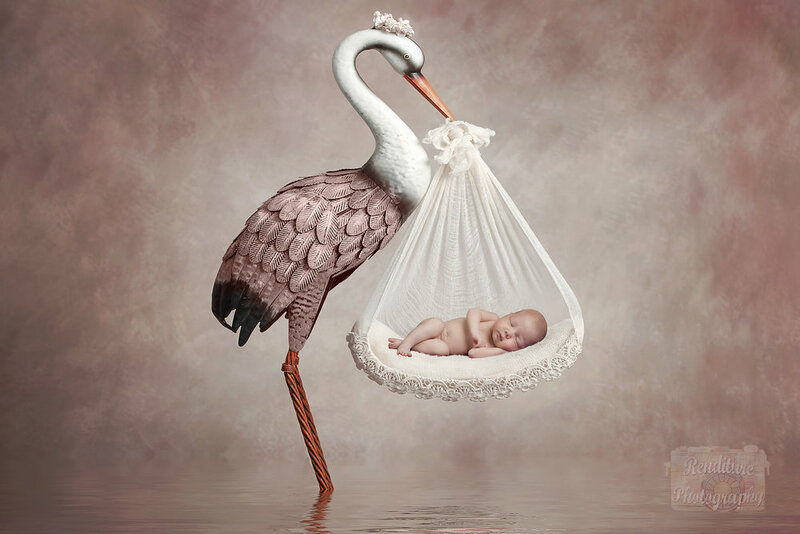 After two weeks babies go through a growth spurt and will start stretching their arms and legs and will not be as amenable to curling up for a picture or sleeping as soundly, which is needed for some of the poses and photographs in props like the buckets. You should book your session as far out as possible, as early as your second trimester. I usually book sessions 3-4 months in advance and for busy photography seasons, it can even be 5-6 months out. I’ve received hundreds of phone calls from parents who have just given birth who want to book an appointment and I have no availability left. Then they get very sad because its such a short window of time to take those special portraits and they missed it.